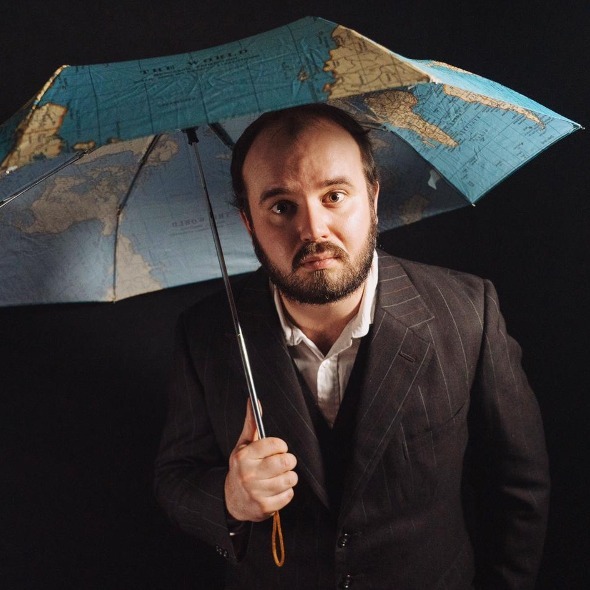 "In an exciting, last-minute exclusive, Fringe at the Gryphon and Teuchter Company are delighted to present a one-off performance of Umbrella Man, the tragicomic story of a young Scottish man who tries to prove that the Earth is flat. Written and performed by poet, performer and pianist for Men with Coconuts Colin Bramwell, Umbrella Man has played to packed houses at Prague and Edinburgh Fringes, and comes to the New Zealand Fringe fresh from a critically-acclaimed run in Adelaide. Using poetry, storytelling and improvised piano to take audiences on a journey to the outer limits of common sense, Umbrella Man is a daft, dreamy, unmissable piece of Scottish spoken-word theatre from one of the country's most exciting young talents. 'A unique amalgamation of music, comedy and poetry that gets the audience thinking.' (The Advertiser)"